Tuvan Yat-Kha goes on touring USA. Yesterday it gave a concert at the Museum of Fine Arts in Boston. On the eve of the event The Boston Globe publishes an article on Albert Kuvezin's Tuvan rock. With its eerie, buzzing harmonics and guttural rumbling timbre, throat singing might seem like the most limited of vocal practices. But for Albert Kuvezin , the founder of the Tuvan rock band Yat-Kha , the Central Asian vocal technique is a skill perfectly suited for tunes by a far-flung roster of artists, from Led Zeppelin and Santana to Captain Beefheart , Joy Division , and Bob Marley. Those are just some of the musicians whose material he transforms on Yat-Kha's uncanny new album ``Re-Covers" (World Village). Even more surprising is that Kuvezin takes a break from Yat-Kha's hard- rock sound, using a combination of traditional Tuvan and Western instruments to reinvent the most unexpected material, such as French composer Paul Mauriat's ``Toccata" and the Irish theme ``The Wild Mountain Thyme," which he learned while playing with the Chieftans. Yat-Kha, which features Kuvezin on vocals and guitar, Sholban Mongush on vocals and igil (a two-stringed bowed Tuvan instrument), drummer Igor Karavaev, and bassist Mikhail Skripal'schikov , performs tonight at the Museum of Fine Arts as part of the band's first US tour in five years. ``I was so tired of loudness in the music, I just wanted to relax and refresh my own ears," says Kuvezin, 40, in a phone conversation from the kitchen of his house in Kyzyl , the capital of Tuva, a Russian republic nestled on the northwest corner of Mongolia. ``Those tunes, like `Wild Mountain Thyme ' or `Black Magic Woman,' I found that they could be played on acoustic instruments and still keep their impression." Throat singing refers to a constellation of techniques that allow a vocalist to simultaneously produce two or more notes, a traditional practice used by a wide variety of peoples, but particularly associated with Tibet, Mongolia, and Siberia. It gained attention in the United States with the 1999 release of the Academy Award-nominated documentary ``Genghis Blues," though traditional Tuvan bands like Huun-Huur-Tu had already toured widely across North America. Kuvezin was an original member of the band, but he was more interested in combining Tuvan music with the hard rock that caught his ear as a teenager, music banned by Soviet authorities and available only through the black market. He realized his vision with Yat-Kha and spent about a decade touring with the band, but three years ago Kuvezin found himself at a creative and personal crossroads, lost and bereft of inspiration. Deported from Hungary after losing his passport, he was involved in a serious car accident that left him bedridden during a long recovery. "I went through all my old tapes at home, and found many tunes which I really love, and they gave me energy to recover. So the title of the new album came from those days." He recorded "Re-Covers" in London working with British producer Ben Mandelson , best known as a long time member of Billy Bragg's band. Together they honed a long list of tunes down to 14. Opening with a rumbling version of Zeppelin's "When the Levee Breaks," the album includes several epiphanies, particularly a haunted rendition of ``Black Magic Woman. " "It's very hard to reframe songs that are so strongly defined by other artists, " says Mandelson. 'But the great song interpreters, they'd make them their own. I'm not saying Albert is a Tuvan Ella Fitzgerald, though that's an interesting concept." New comments for news item are allowed for 365 days after publication. 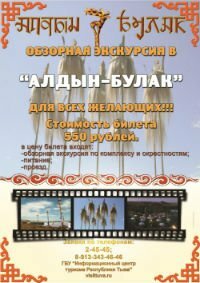 Republishing, redistributing or syndicating without direct reference to Tuva-Online is prohibited. Quotes on Internet-sites are allowed only with hyperlink to http://en.tuvaonline.ru. Russian Federation, Kyzyl,27k7 Krasnykh Partizan Str. Registered in the Ministry for press of Russian Federation.